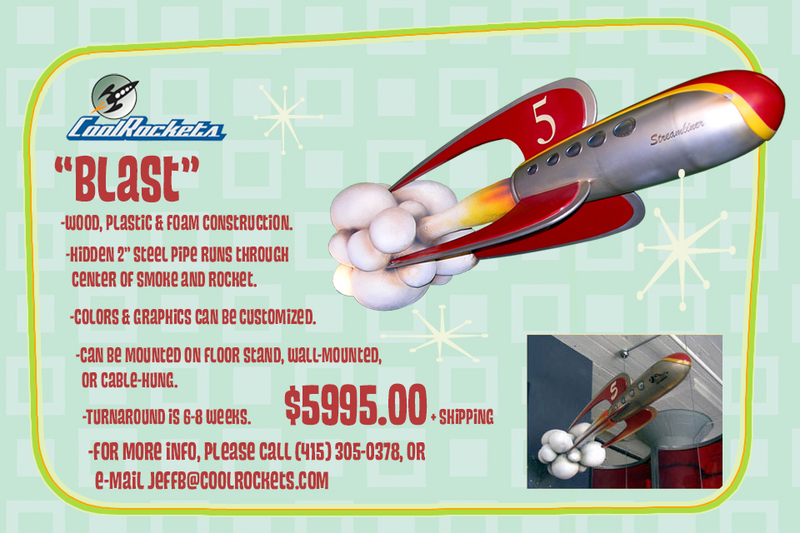 Welcome to Cool Rockets! 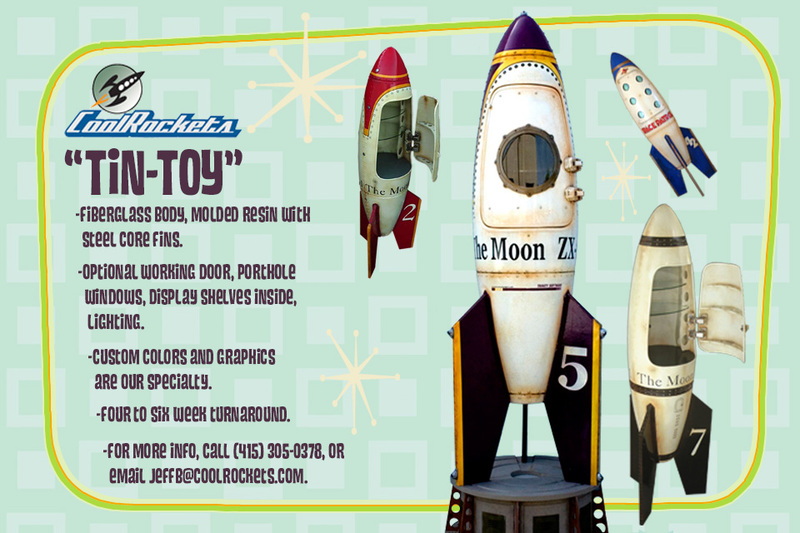 I’m Jeff Brewer, and I created this company to show and sell my line of colorful, desk size rocket ship sculptures. 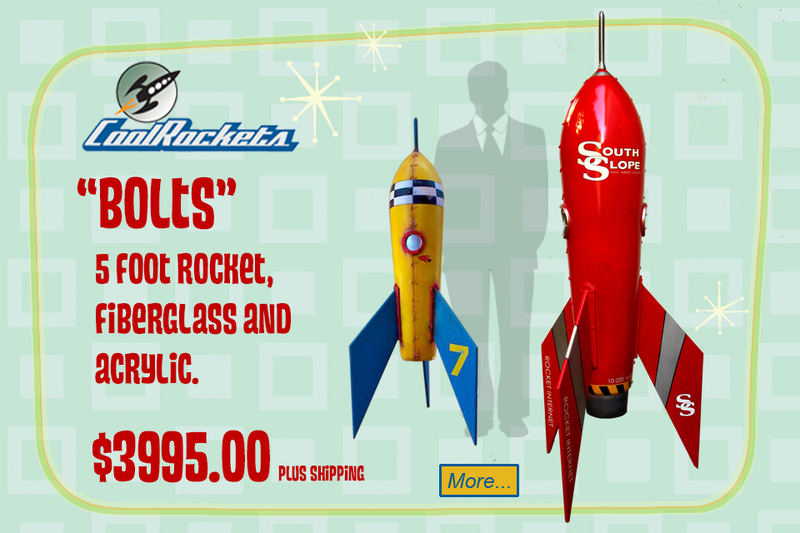 We’ve now evolved into a unique art business that produces larger (5’-6’) fiberglass rockets, fully customizable for some way for client specifications, that are used for promotional purposes, trade shows, and office lobbies. My background includes 8 years in the ILM/Lucasfilm model shop. While that shop no longer exists, the people do. 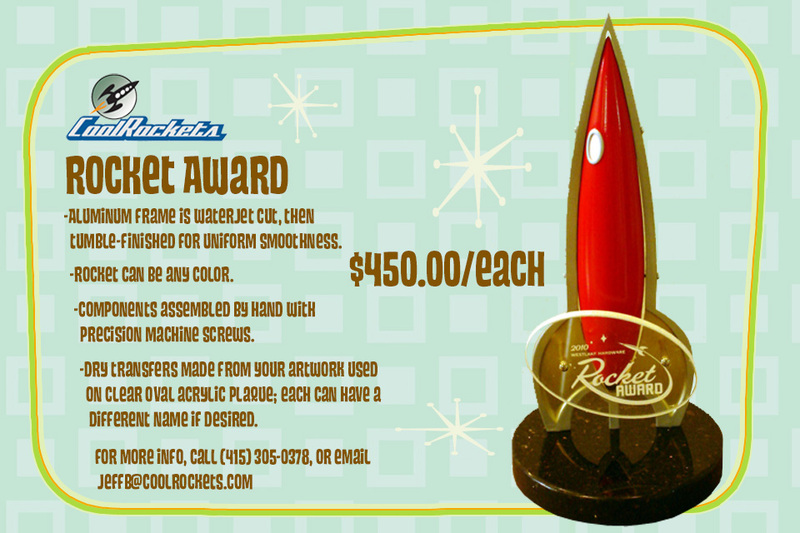 Many of the artists and fabricators are local and we continue to collaborate on a multitude of custom projects. 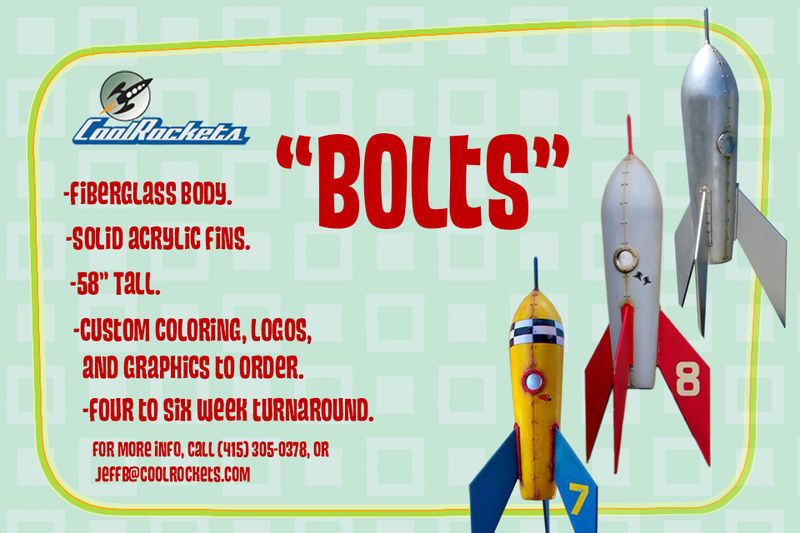 We can fabricate pretty much anything you want, and, we’re used to deadlines. We now also offer services of 3D modeling (Rhino 3D, Maya, AutoCad), 3D rendering, and 3D printing. 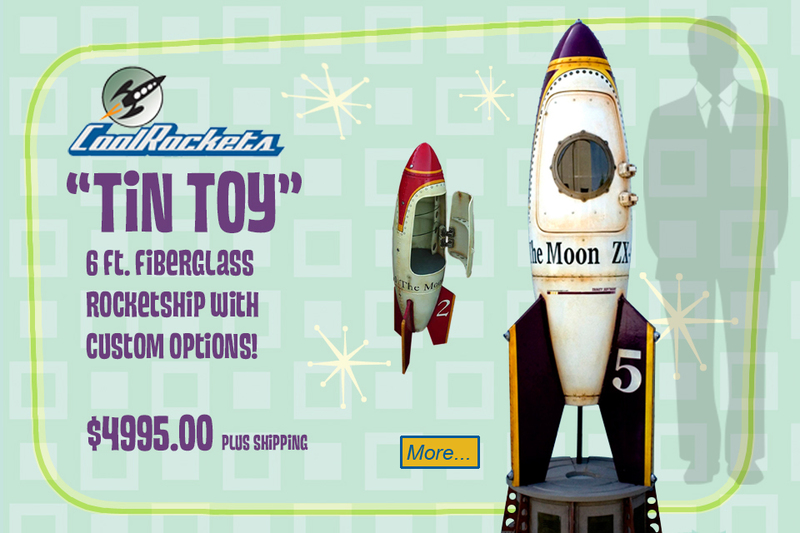 I can help take a 2D idea to 3D form so you can see it from all sides, color render it, and if needed, 3D print it into an actual physical part. 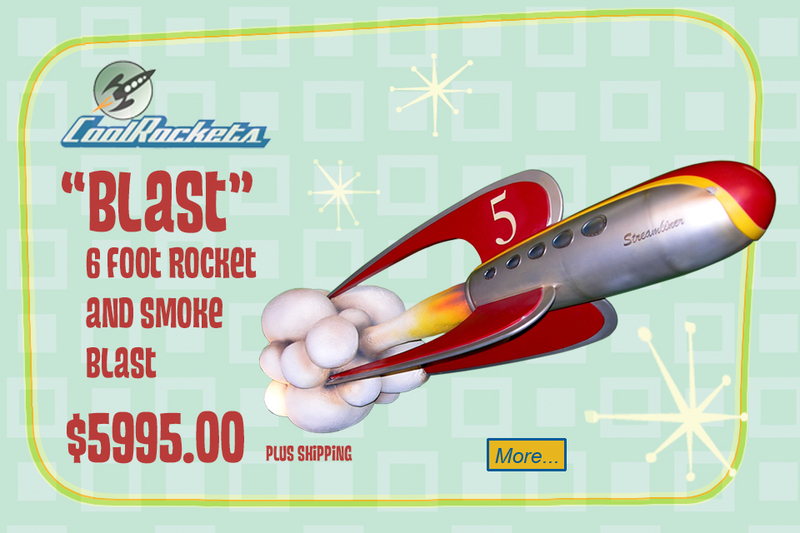 Product design, toy design, architectural, photo props, it’s all good. Please feel free to call with any questions about your project, or about how we may be able to help. We can assist with figuring out the scope of your project, what your end result should be, and how to proceed in order to get that result. I hope we hear from you soon!